“Be open to mystery. Not everything needs sharp lines.” Good effort sharing the life of a complex man. Great story of one of the greatest genius that ever lived. Walter Isaacson’s Da Vinci was a well-written book, and I really like most of what he has written, but, unfortunately, this book was a little flat. More than anything, it was just a compilation of what others have written, and compared to some of Isaacson’s other books, this one seemed somewhat flat. 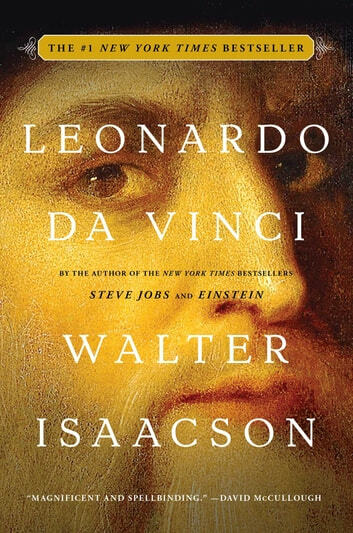 Although it received a lot of press, and Isaacson stated that his intent was to highlight....as in his other books,.....that a multidisciplinary approach to learning is what most genius’ share in common, this book just fell flat for me. Maybe I was asking too much, but I just didn’t feel the enthusiasm that I have felt displayed in some of Mr. Isaacson’s other work.